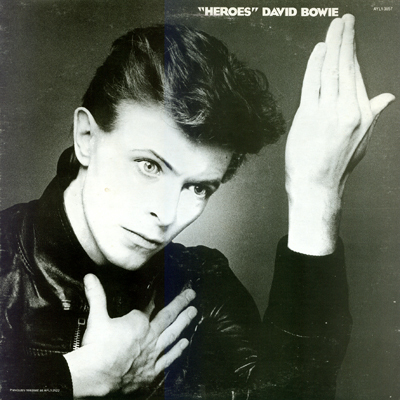 Notes: Bowie recorded this album in Berlin amidst his dark phase. Coming after Low this album is a bit more approachable. Robert Fripp lends his guitar styklings and Eno does what Eno does. 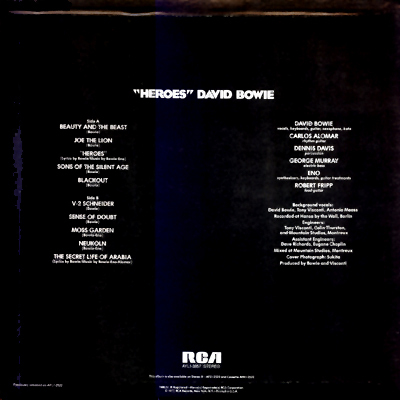 David even managed to squeeze in a hit single that remains one of his best works. A good album for a rainy night in a dark city. The black & white cover photo enhances the feeling of a mechanical heart beating underneath it all.